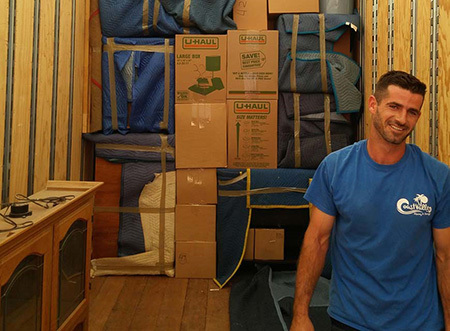 Expert Orange County Packing Services for a Damage-Free Move! Packing. How hard can it be? You toss things in a box, tape it up, and you’re on your way! If you own nothing but clothing and pillows, that method could work. If not, you’ll want to enlist the help of a professional Orange County packing and moving company. Proper packing techniques not only make the most of the space on the moving truck, but they ensure that even your most fragile items will arrive safely. Coast Valley Moving & Storage, Inc. offers expert Orange County packing services and custom crating solutions. We’ll pack it all—from the art on the walls to the contents of every drawer. Just give us the moving date, and we’ll do the rest. Our household packing experts have experience moving fine art, grand pianos, and rare antiques. Your most-treasured belongings will arrive at your new home in perfect condition with our pack and move team on the job! For some items, packing them in a box isn’t the best solution. That’s when our Orange County custom crating service comes in. We customize wooden crates to fit your fragile or valuable items along with plenty of packing material. Once the items are carefully tucked into their crates and protected, they won’t be knocked around and damaged. Even items carefully packed in a box can become a casualty if another box falls on top of it. That’s why for your most-loved treasures, crating is a smart choice. For most, the best moving plan will include a mix of packing, furniture wrapping, and crating. Our moving specialists can develop a custom plan that meets your needs. We come to your home to give you an estimate. That in-home visit allows us to see what you have and to provide an accurate quote. Contact Coast Valley Moving today to learn more about our custom packing and crating services. Give us a call to talk with a moving specialist or fill out our online form for a free, no-obligation estimate. We can help you move wherever life takes you!